Welcome to the March 2019 issue of The Transportist, especially to our new readers. As always you can follow along at the transportist.org or on Twitter. February was notable for the launch of Transport Findings and our hosting the first TransportCamp in Sydney, both sponsored by TransportLab. 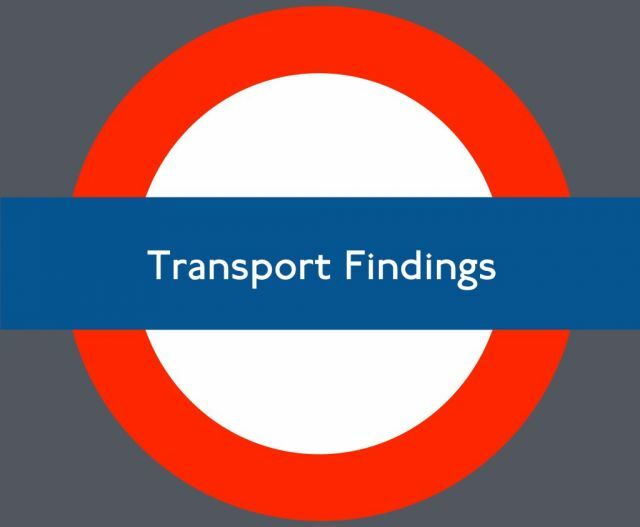 We are pleased to announce the launch of Transport Findings, a new, independent, community-led, peer-reviewed, open-access journal focused on short, clear, and pointed research results. We welcome submissions. Follow the journal on Twitter. Visit the journal. Transport planning for persons with disabilities is not reflected in transport-planning education. It is found trip happiness increases with travel using biking and walking, for eating out and leisure, taken during daytime, with family and friends, of duration 15 – 30 min. Marie-Soleil Cloutier, Ugo Lachapelle, Andrew HowardInteractions between vehicles and pedestrians at road junctions where road users adapt their behavior ahead of the “conflicting zone,” are correlated with actual pedestrian collisions. Participants with and without disabilities made identical trips. The difference in average travel times between the groups was approximately 18 minutes. A Markov chain model for each bike station optimizes station-specific initial number of bikes for a day to minimize the rebalancing cost. Crowd sourced data provides transport researchers with comprehensive coverage in their research subjects. However, difficulties in data validation and consistency pose a threat to the credibility of research. This article describes the new software package, [“dodgr”](https://github.com/atfutures/dodgr) (**D**istances **O**n **D**irected **GR**aphs) capable of extremely efficient flow aggregation over millions of routes within a network. Beliefs about walking and driving differ significantly, but in both cases the responses that a given mode is fun and relaxing are more strongly correlated with liking than other responses. With flexible work practices and different uses for travel time, the use of the hourly wage rate to determine value of travel time savings is both problematic and misleading. Poor roads generally increase property damage and injury crashes. But on curves, good pavement quality increases fatal, injury, and property-damage crashes. In 11 Canadian metropolitan areas, low-income groups exhibit higher public transport use at the same level of accessibility than high-income groups. Results by equity measure are heavily influenced by the accessibility indicator and the method of assignment. Person-based potential accessibility measure tends to show greater inequity. 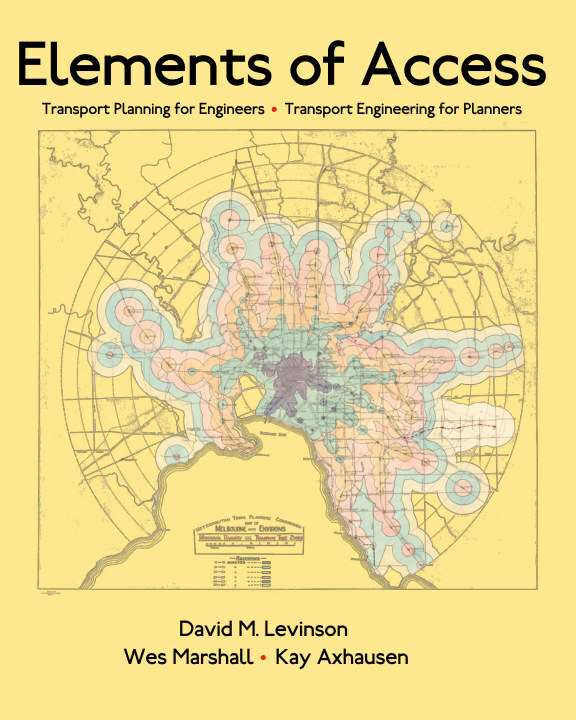 stplanr: a package for transport planning Robin Lovelace and Richard Ellison at The R Journal! Welcome to the January 2019 issue of The Transportist, especially to our new readers. As always you can follow along at the blog or on Twitter. SUV sales have overtaken cars in US, Canada, Australia, and now rising quickly in Europe. Amazing results of day 1 of permanent traffic restrictions in downtown Madrid (470 Ha): * Number of cars on the road in restricted ares went down 6 to 31% * Average bus speed went up 14% (including areas not in the restricted area) via Alex B. Small is e-Beautiful Greater Auckland. Gridlock in the sky: The space industry wants to launch more rockets through an already congested airspace. WaPo [One more reason for Space Elevators]. Heavyweight Showdown Over Research Access: University of California System is playing hardball with Elsevier in negotiations that could transform the way it pays to read and publish research. But does the UC system have the clout to pull it off? – Inside Higher Ed. We launched WalkSydney.org this month. It’s a local organisation aimed at promoting walking. I have put up several posts on the site (others have as well). While the details are Sydney-based, the logic is sadly universal. If you want to make Sydney a better place to walk (scoot, stride, perambulate, and so on), you should join. We are bike-friendly, unlike some other Australian pedestrian ‘advocacy’ groups. You can follow on Twitter, Facebook, and Instagram as well. Residential locations, the jobs–housing relationship, and commuting patterns are key elements to understand urban spatial structure and how city dwellers live. Their successive interaction is important for various fields including urban planning, transport, intraurban migration studies, and social science. However, understanding of the long-term trajectories of workplace and home location, and the resulting commuting patterns, is still limited due to lack of year-to-year data tracking individual behavior. With a 7-y transit smartcard dataset, this paper traces individual trajectories of residences and workplaces. Based on in-metro travel times before and after job and/or home moves, we find that 45 min is an inflection point where the behavioral preference changes. Commuters whose travel time exceeds the point prefer to shorten commutes via moves, while others with shorter commutes tend to increase travel time for better jobs and/or residences. Moreover, we capture four mobility groups: home mover, job hopper, job-and-residence switcher, and stayer. This paper studies how these groups trade off travel time and housing expenditure with their job and housing patterns. Stayers with high job and housing stability tend to be home (apartment unit) owners subject to middle- to high-income groups. Home movers work at places similar to stayers, while they may upgrade from tenancy to ownership. Switchers increase commute time as well as housing expenditure via job and home moves, as they pay for better residences and work farther from home. Job hoppers mainly reside in the suburbs, suffer from long commutes, change jobs frequently, and are likely to be low-income migrants. Green Pace – A Watch App to Save Time. Sarkar, Somwrita, Wu, Hao and Levinson, D. (2018) Measuring polycentricity via network flows, spatial interaction, and percolation. Sharma, Sabal and Levinson, D. (2018) Travel Cost and Dropout from Secondary Schools in Nepal. Welcome to the October 2018 issue of The Transportist, especially to our new readers. As always you can follow along at the blog or on Twitter. Transport Findings is an interdisciplinary, open access journal focused on short, clear, and pointed research results. Follow on Twitter or RSS. Let me know if you are interested in participating (as an author or editor/reviewer). Dockless in Sydney: The Rise and Decline of Bikesharing in Australia. Walking and Talking: The Effect of Smartphone Use and Group Conversation on Pedestrian Speed. Welcome to the August 2018 issue of The Transportist, especially to our new readers. As always you can follow along at the blog or on Twitter. I am giving a talk August 09 The Street: Design for People by Foreground, talking about the Footpath of the Future. This is at the Powerhouse Museum in Sydney. Tickets here. Rethinking America’s Highways: A 21st-Century Vision for Better Infrastructure by Robert W. Poole Jr.
A Robot riding a bicycle, for realz. What I learned from a Taipei alley – [Trash doesn’t touch the ground, garbage trucks come around playing ‘Für Elise’ and people deposit their trash directly.] – Eugene Wei. Welcome to the July 2018 issue of The Transportist, especially to our new readers. As always you can follow along at the blog or on Twitter. Signalling inequity – How traffic signals distribute time to favour the car and delay the pedestrian. An edited version of this appeared on The Conversation June 11, 2018 and was picked up by The Guardian. The Urban Transportation Center (UTC) at the University of Illinois at Chicago is seeking to hire a postdoc with excellent communication skills to work on transportation policy issues, transit planning and performance measures, and mobility solutions including autonomous/connected vehicles. Requirements include a doctorate in civil engineering, urban planning or public policy. The selected candidate will also be required to work with graduate research assistants and assist the UTC director in pursuing external grant opportunities. The appointment will begin in the Fall of 2018. There will be no teaching requirement. Interested candidates should send a letter of interest and CV to the attention of Dr. Kazuya Kawamura at kazuya@uic.edu with the subject line “UTC postdoc”. Lendlease Bradfield Urbanisation Scholarship: ($10000) Are you a 1st or 2nd year student with a big vision for Sydney? Calling all “outside the box” thinkers! Do you have the next brilliant idea to help solve or improve a current transportation policy or system management challenge? Submit a 2,000 word proposal, PowerPoint presentation, video or other media form outlining your creative ideas — and you could win $10,000! Visit http://outsidethebox.gmu.edu/ for submission guidelines.